This is the fifth year I’ve claimed to participate in National Blog Posting Month AKA NaBloPoMo, and the third time I’ve failed at it. In 2007 when I failed I got engaged. In 2009 I failed less spectacularly, but wrote an EP of new songs I’ve been playing ever since. This year I wrote another EP of songs! Oh, and as of 3:30 a.m. this morning, AN ENTIRE FRIGGING BOOK. Behold this dancing monkey as he informs you that I wrote a frigging novel. Yes, if you’ve been keeping up with the tiny graphic on the sidebar or my endless authorial ramblings on the Twitters, you would know that I’ve been hard at daily work on a novel for National Novel Writing Month AKA NaNoWriMo, which charges you with penning 50,000 words of fictional first draft in 30 days – 1,667 a day. I found myself 10k words in the hole a day after Thanksgiving, but I was less worried about making up the missed words than I was that my natural stopping point in the story wouldn’t carry me past the 50k mark. However, last night the final chapter of my plot just kept going and going across 8+ hours of writing until I finally finished it at 4,500 words (9% of the entire book, at this first draft stage), sobbing on my couch at 2:30am with 50,227 words. Then I plugged the whole thing into NaNoWriMo’s word counter, which counted me about 1k short. I expected that, since my counts have always been about 2% short when I use the website, but I was secretly hoping that it would resolve itself magically when I submitted my final text. Winner. Yep, that's my name. Luckily, I’ve had a clear-as-a-bell vision of an epilogue for a week now, and I spent the hour deliberately dashing it off in one solid peal of writing to qualify for the official 50k mark on the site without having to make any serious expansions to the rest of the text, aside from a quick reread of the final chapter to catch obvious errors (come on, this is me, there’s no such thing as ‘no editing’). There’s been a fair amount of polemic against NaNoWriMo, claiming it generates wasted time, false hope, and bad manuscripts. Well, sure. But, dudes, I wrote a book – actually, just a third of the entire story I want to tell, but still weighing in at roughly 243 paperback pages even in first draft. I’ve always had the ability to write, and the intent to write, but this is still my single longest piece of actual, non-hypothetical, well-past the outline stages fictional writing by a factor of at least three (even as CK has swelled to over a million words – 20 NaNoWriMos worth of text). So, was it a waste of time? Maybe. Isn’t everything? Why do I blog or play music? Why do people who I look down my nose at for watching television watch television every night? We all have our reasons. What matters this weary morning is that last night I finally finished the first draft of book I’ve been conceiving and reconcieving since I was riding the 2 bus in 7th grade. Not only did I finish a first draft, I finished one of my current five big goals in life (having already taken a pass on having abs in 2010), and NaNoWriMo helped to inspire that. So, my thoughts on National Novel Writing Month? In a word? PS: Many of you have kindly and without any regard for your own time or sanity asked to read some form of this novel. I absolutely will be posting an excerpt sometime soon, but not the entire thing as, theoretically, it is just a third of said entire thing, which means I have as many as 100k words left to write, as this was never really plotted as a standalone piece. In short, ask me again after I get more than three consecutive hours of sleep. Best albums of 2010? Help me! Now re-revised(!) 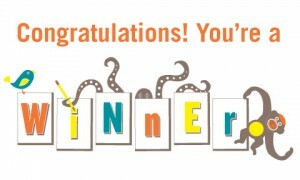 (as of 12/6) (through 1/1/11) to include new LPs I’ve picked up and suggestions from readers. If you’re a big music fanatic/critic, I want/need your help in populating my list of eligible Best Albums of 2010. Amongst the 952 projects that I took on this November, I’ve begun to think about the “Best of 2010” albums list I’m going to compile next month. 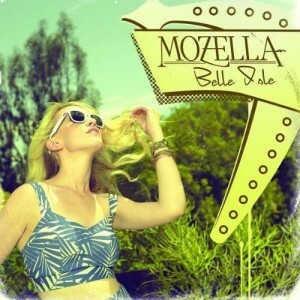 Mozella's Belle Isle was retroactively my LP of the year in 2009. Do not sleep on this album, dudes. Trust me. I haven’t done such a thing for a long time, because I haven’t bought and listened-to enough LPs in most years to issue anything like a definitive list. Last year when December rolled around I checked out all of the year-end lists and was shocked that I hadn’t even heard of most of the discs past the top few. As a result, some of the 2009 albums I played into the ground this year I didn’t even hear until January of 2010 – namely, discs by MoZella, St. Vincent, A Fine Frenzy, and Thao with the Get Down Stay Down. I’m still finding 2009 favorites – the past few weeks I can’t turn off the K’Naan record. This year I really think it’s going to happen, because I’ve been making a point of cruising New Release lists at least once a month for highlights. That said, I need your help in catching the LPs I’ve missed so far. That’s a lot of records! However, there are also more than 120 110+ just over 100 albums nearly 200 LPs that have the potential to be list-worthy that I haven’t heard a lick of – and the next MoZella or Thao could be in there! I’ve starred added releases from a specific recommendation or a best-of list I trust. Strikethru indicates an album I heard and didn’t think I’d enjoy. (This includes some live/archival releases, which probably won’t make my EOYlist). This is where you come in. What albums am I missing? What albums in my “to hear” list aren’t worth chasing down? My tastes run to mainstream pop, tons of harmony, female singer-songwriters, male rockers that can really sing, and live instruments or social conscious hip hop. I’m hit/miss on instrumental, meh on metal, and dislike commercial rap. I’m all for local artists, even if they aren’t from Philly – my LP of the year in 2008 was a local artist.